It’s not often that I find myself in tears at work, but last week as I heard the story of, and then met Robert Regan – the first personal story at the Banking Royal Commission – I had to take a breather. Here was an elderly man who lost his wife, subsequently got caught up in a romance scam, turned to a mortgage broker and bank for help and was exploited for a sale. 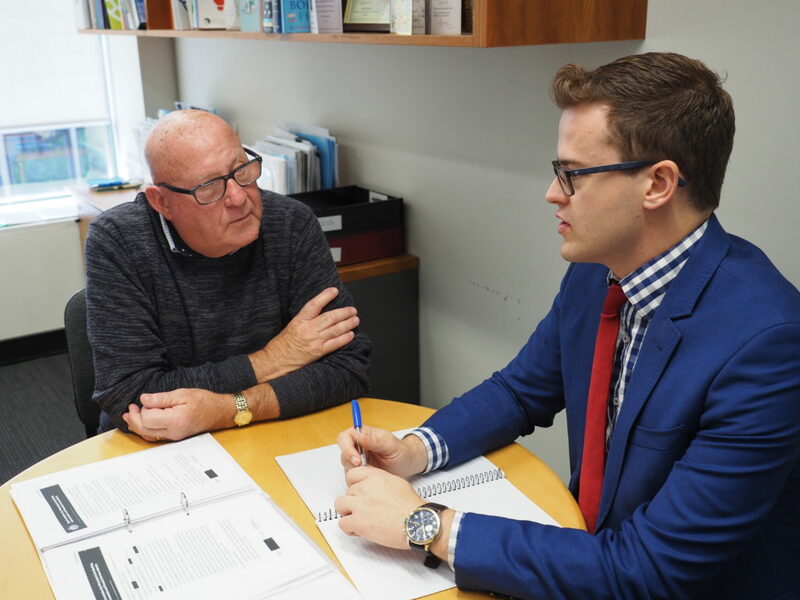 My job at the Consumer Action Law Centre is to help people like Robert tell their stories. What struck me about Robert was how kind his intentions were in sharing his story. He didn’t want fame or attention – he simply wanted to make sure the same thing didn’t happen to other people. Robert’s story will undoubtedly help some people avoid the same fate, but something much more sinister will stop many others from ever receiving help – Australia’s culture of judgement and shame. Australia’s business community has successfully fostered a culture and narrative where the “personal responsibility” of their customers absolves businesses of taking responsibility for the impacts of their products and services. We all like to think we’re smart, rational people who will always make the best decisions for ourselves, but the truth is that emotion plays a much bigger role in our decision making than any of us would like to admit. The business community knows this – they exploit our emotions every single day through their marketing and sales practices. They invest huge amounts of money in researching people’s behaviour, and in designing products and sales methods that best take advantage of our weaknesses. Consumer Action learned this recently, with the Financial Rights Legal Centre, in our Watch Your Nuts campaign. Research into the payday lending sector confirmed that policymakers’ traditional approach of educating people about astronomical interest rates and fees just doesn’t work. The reason? We are influenced by emotion when we’re stressed about money – we don’t think rationally. With their quirky characters and highly developed digital marketing strategies, payday lenders know exactly the emotional triggers they need to pull in order to sell their high cost, unaffordable loans. So, we created our own feral mascot to help us disrupt the emotions that businesses spend millions of dollars manipulating. We’ve known for years that businesses use marketing, messaging and emotion to influence us. The “personal responsibility” argument that we often hear from business figures just doesn’t stack up, because they know that’s not how it works in the real world. The theory of ‘personal responsibility’ relies on us to be rational economic units who know the complexities of every service and product we access and for us not to be impacted by our emotions or stressors when making those decisions. It’s genius – a business designs a bad product, then applies sales practices and marketing that intentionally exploits our emotions and disrupts our rational decision making. Then we get the blame for being irrational and making bad decisions. But remember, this is all down to culture and leadership. Business leaders set standards, create incentives and reward behaviours of their staff. They do this in response to pressures from the “market” to return a fast profit. Yet minimising the impact of bad products, services and sales practices on the lives and wellbeing of others is a choice. True leaders would challenge this culture and recognise that “personal responsibility” cuts both ways. What I’ve found most upsetting during these Royal Commission hearings has been reading and hearing the shame and judgement that many Australians have put on the people manipulated, abused and targeted by banks, brokers and salespeople. By judging each other, we give businesses exactly what they want – excuses to maintain the status quo. So, what needs to change? Firstly, we need to junk this idea that “education” and “personal responsibility” will stop people being manipulated and ripped off. The evidence tells us it doesn’t work and it shifts the blame and responsibility away from the people designing and selling bad products and services. Secondly, we need to stop this culture of shaming and blaming around money and people’s life circumstances. When Robert appeared at the Royal Commission he was a kind, caring man who wanted to help others – he didn’t have to share his story. You might think “well that would never happen to me” – until it does. Businesses spend billions of dollars in marketing and sales research to convince us that it’s ok to be financially stretched. There is hope and it’s thanks to the people who shared their stories at the Royal Commission. They’ve been through hell and back, but they care about our community. They care about an Australia where people can access basic things like a car to get to work or a fair and affordable loan without being exploited. It’s about time the banks took responsibility for being part of a community, and not just a market. Find yourself judging bank victims? That’s exactly what the banks want by Jonathan Brown and Consumer Action Law Centre is licensed under a Creative Commons Attribution 4.0 International License.